TT the Bear's days may be numbered, but the club certainly isn't planning on quietly closing its doors. 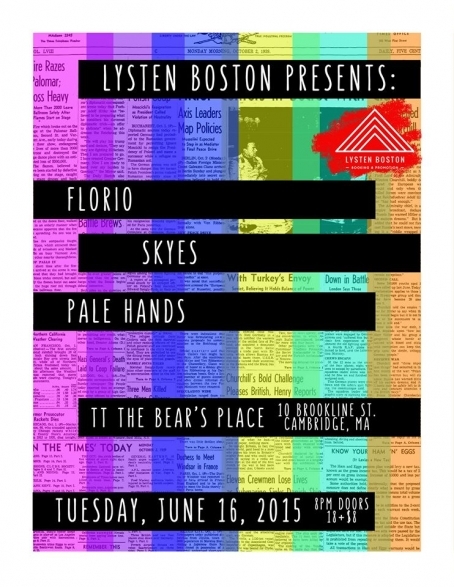 Tomorrow nigt, June 16, Skyes (NY) will be treated to a warm Boston welcome from Florio and Pale Hands. This bill is full of can't-miss performances for fans of huge pop hooks and incredibly talented vocalists. I could go on and on about the bands' respective pop sensibilities, but you're probably better-off just going to the show. 8PM doors, $8 cover, 18+ (proper ID required). 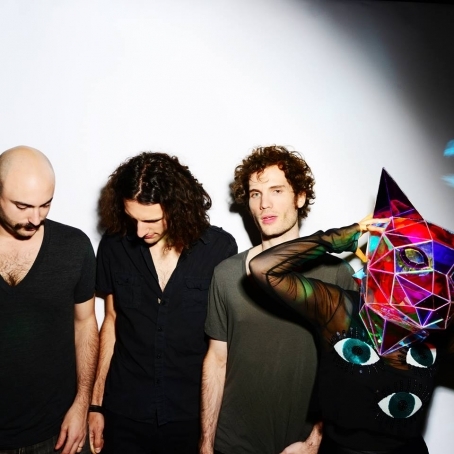 For more info about the gig, presented by Lysten Boston, click here. These days it really seems like synths are taking over the world, or at least Brooklyn. And this time around, for some obscure reason, women are leading the charge. 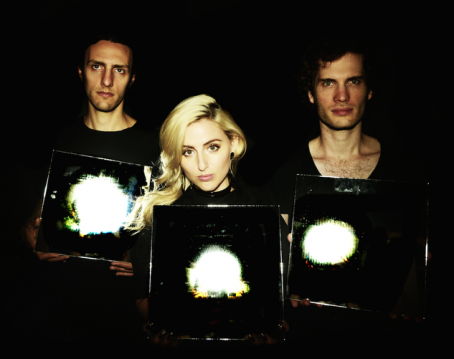 Skyes is yet another female fronted Brooklyn band that makes heavy use of synthezisers. 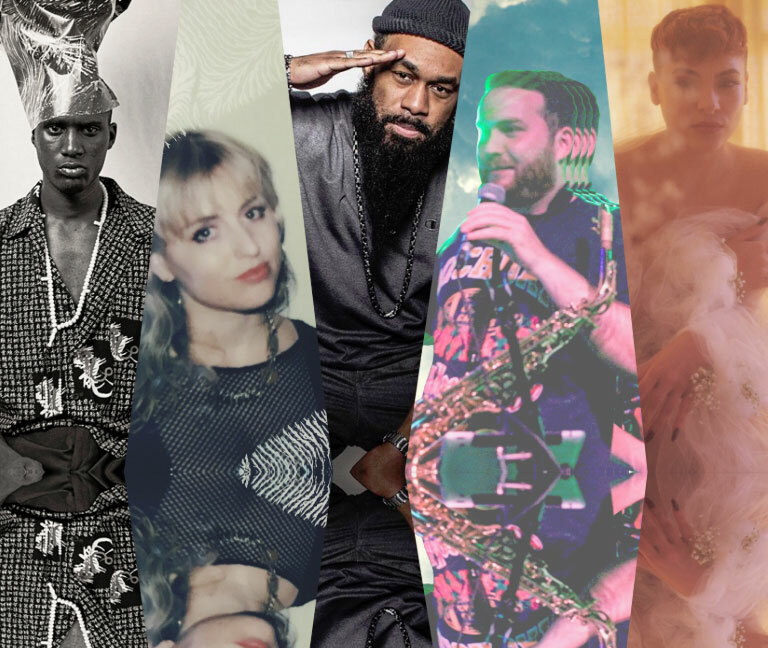 Please don't get that "yet" wrong: we love this new electro "wave," and all these artists sound nothing like each other; we are just amazed at the sheer number of submissions of this kind we've been getting. Skyes' music could be described as synth-pop because of its melodic focus, but it trades that genre's upbeat thoughtlessness with a dark-ish, experimental, non linear edge in the arrangement department, reminiscent at times of Kate Bush's avant-pop. Their most popular single "A Girl Named Jake" (streaming) highlights the lead singer's beautiful pipes and noteworthy production values for what we assume are home made recordings. 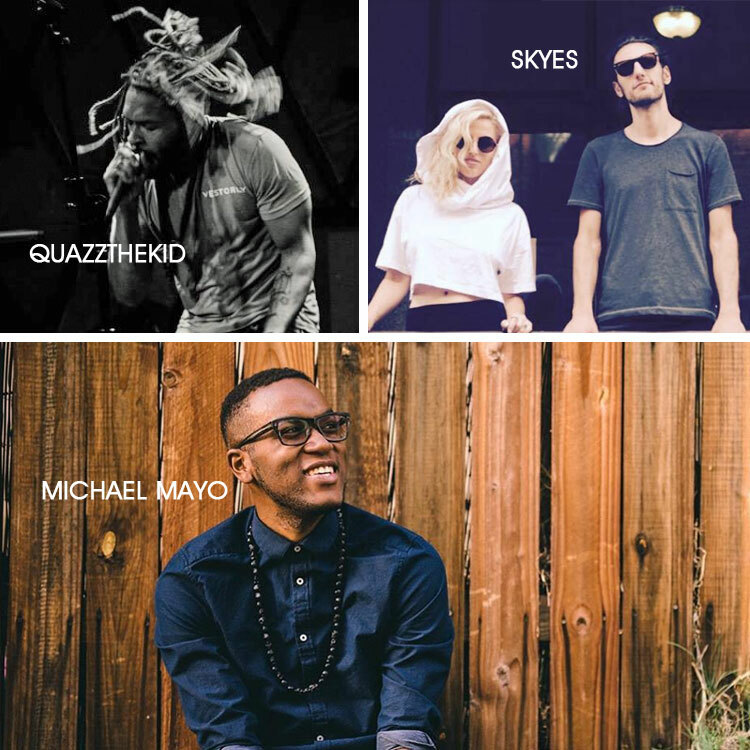 Skyes will be playing Mercury Lounge on February 18 with The Bowery Riots, Everest Cale, American Darlings.